Even though Autumn has officially begun, temperatures have been unseasonably mild. Some of us that live here like to take advantage of it by savoring the final remnants of Summer. 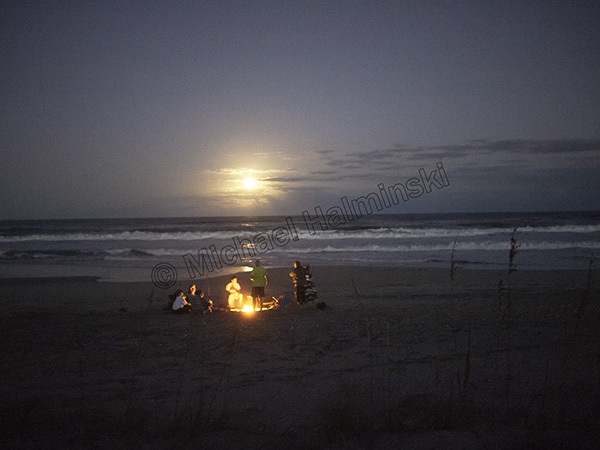 A bon fire on the beach is one way to enjoy this special time, and they almost always happen spontaneously. This past October 5th was no exception and it was enhanced by a rising Harvest Moon. This entry was posted in beach, night photography, Outer Banks on October 14, 2017 by j0jgvm89bj.